The finished touch to the true supports room. 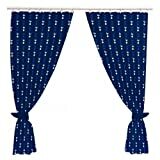 These curtains will make any fan proud. This entry was posted in Spurs and tagged Curtains, Hotspur, Tottenham by Footy Star. Bookmark the permalink.